Flower Design by Floral V Designs in Dayton Ohio - Call today for a Quote! Floral V Designs, a decorated, award-winning flower design company, has quickly become a rising star in the luxury floral industry, without the luxury price tag. We specialize in wedding flower design in Dayton, Ohio, galas, special events, corporate flowers and floral preservation. 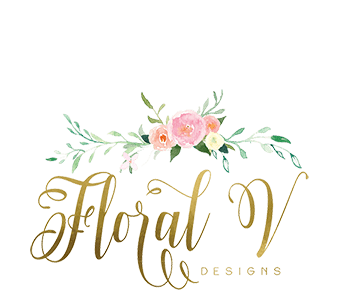 Floral V Designs serves Dayton, Ohio, and the surrounding tristate area in Cincinnati, Northern Kentucky, Columbus, and Indiana. Owner, Cady Vance, and her floral and creative design team are Dayton’s favorite, bringing floral inspiration and event trends from all over the world to charming Bellbrook, Ohio. We are passionate about the experience, personal design, and service that we offer our clients. Our wedding floral services range from deluxe and all-encompassing wedding to a more intimate event. Small or grand, rustic or luxe, minimalist or lavish, our approach to events takes a cue from the beauty of your story, the season, your venue and your unique style. 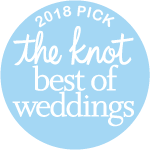 Floral V Designs is the premiere wedding and event florist serving Dayton, Ohio, and the surrounding tri-state area including Cincinnati, Northern Kentucky, Columbus, and Indiana. 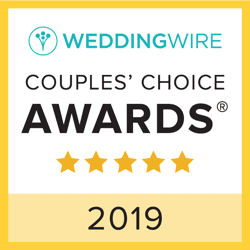 We are passionate about your wedding experience, including the design, and the services we offer when personally designing your wedding reflect that dedication to you. We offer all our clients an informal, no obligation meeting to design your dream wedding. We only work with the best growers that provide the most beautiful flowers. We don’t compromise on the quality of the work we provide and our customer service and design teams are unmatched in the industry and in the tri-state area. Whether you are a bride that would like us to take the lead or you are a bride that is more hands-on, we make all your dreams possible. We do this by working with you on your budget and ideas. We offer unique designs and floral creativity in all of our flower arrangements. Our floral design team has been serving couples in Dayton, Cincinnati and Columbus areas for over a decade. Floral V Designs also delivers beautiful, fresh, and innovative floral designs to your special someone. We offer unique designs and floral creativity in all of our flower arrangements. Floral V Designs makes designing your next corporate event easy and ensures that it will also be beautiful. We design everything from spectacular corporate dinners, to refined business meetings to memorable grand openings and personalized holiday events, your vision will come to life through the creative expertise of our staff. We provide a full menu of office beautification service including delivery of floral and non-floral environments that create a statement, reflect your branding, and brighten and reflect your workspace. We supply florals and decor to offices, hotels, retail shops, restaurants, and many offices across Dayton and Cincinnati, Ohio. We offer a weekly delivery service for corporate clients, which takes into consideration seasonality, longevity, and design that are in keeping with your company’s brand and vision. Make your next charitable event memorable for all the right reasons. We work with you to create a festive atmosphere that captures the attention and imagination of every guest. We love a challenge and are more than happy to work with any theme and any budget. For a personal consultation, please call our event specialist. We offer several year-round gift giving programs for employees or corporate clients. Whether it’s a gift for regular or new clients, an employee retirement, a birthday or employee recognition program, we can provide flowers and gifts that are customized to the recipient. We can include your company branding as well. Simply put, our creative team does what we do best, so you can do what you do best.